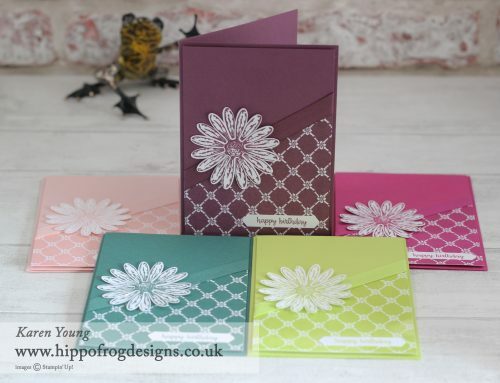 Spend an evening making 6 cards using BRAND NEW 2017-2019 ‘In Color’ Collection products (cardstock, inks, embellishments etc) from Stampin’ Up! Each year, Stampin’ Up! introduces 5 new ‘In Colors’ to add to the current colour collections. This is your opportunity to familiarise yourself with them all.